Get simplicity all in one with the Amish Craftsmen Media Center. 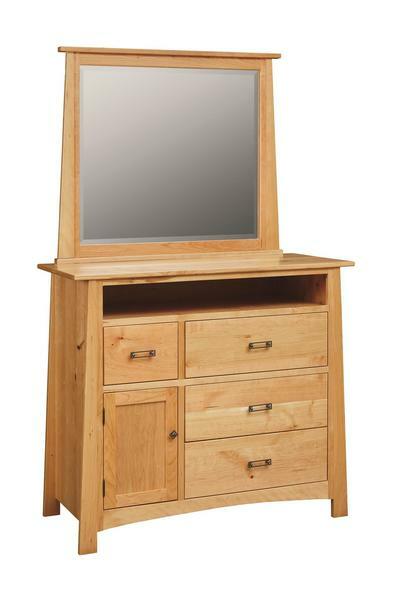 This handy bedroom case piece has a total of four drawers, one door, open storage for electronics and an optional mirror. There is one adjustable shelf behind the door and all drawers are standard with full extension drawer slides. The open space will come in handy for media use. Call 866-272-6773 if you would like to customize this media center in any way. You will be directed to speak with one of our Amish Furniture Specialists who will be happy to assist you.